There comes a time in many entrepreneurs’ business lives where they decide that they need to relocate their office. This might be because of personal reasons like rent charges or an unfair landlord, or hopefully, it’s because their business has expanded so much that they need a bigger office. However, this option might be something that you’re avoiding because let’s face it, moving office can be a bit of a palava. You’ve got to arrange everything down to the last detail, otherwise you could end up losing out on all important profits – and customers! Take a look at these tips on how relocating your office doesn’t have to be hard at all! If there’s one thing that you’re going to need during this transition, it’s all hands on deck. Whether that means your staff members helping pack up your current office, or whether you’re going to allow some members of staff to work from home to avoid profit losses is something that you’re going to have to decide. The main point is, you need to ensure that everyone is on board with the moving plan and knows exactly their role in the whole process. Keeping everyone in the light will help your transition go much smoother. There’s bound to be some complications when it comes to moving your office to a new location. 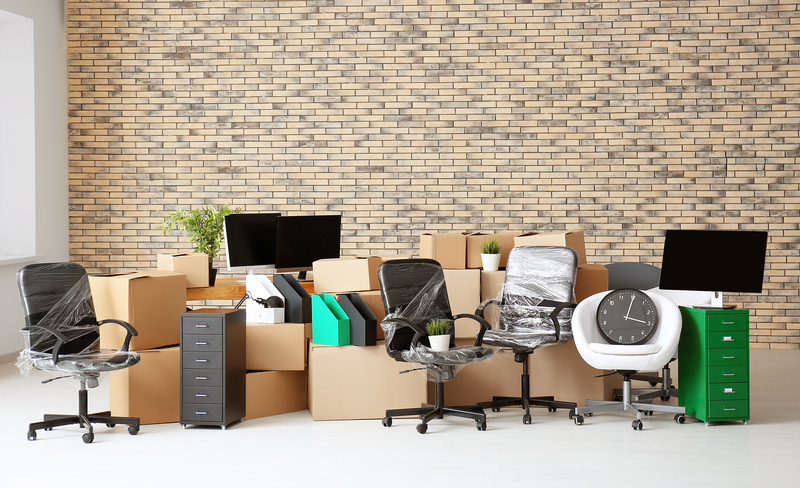 This might be down to your new premises not quite being ready for you to move into, and in these cases you could be left stuck with all of your furniture, files, stock and equipment with nowhere to go. Instead of hoping this doesn’t happen, why not take advantage of Bekins moving solutions long or short term storage? It will save you time, money and hassle in the long run! The best part? They will even come and help with the packing and heavy lifting, which will make your process that little bit easier in the long run. One mistake that many companies make when they are planning to set up shop in a new premises is by not letting their customers know in enough time. There’s a good chance that some of your customers use your services because you’re in a convenient location for them. Prewarning your customers that you’re going to be moving soon will give them time to work out where your new location is and also work out their route to you. Plus, it’s wise to keep them in the loop too so that you don’t end up losing customers during the move! Last but not least, make sure that you decorate your new premises before you relocate so that when moving day does come around, you can simply move in and begin running business as normal. Make life as easy for yourself and your business as possible so that you can avoid any disasters along the way! Take these tips into consideration to make relocating your office easy peasy!